In theory, the easiest shot on a basketball court (for those who are tall and athletic enough) is the dunk. There is literally no distance from which to shoot that is closer than a dunk. Last season, Los Angeles Clippers center DeAndre Jordan led the NBA in field goal percentage (70.3 percent) by making 357 of 508 shot attempts. Of those 357 makes, 227 of them were dunks, and Jordan converted those dunks at a 91.9 percent success rate. In addition to being extremely efficient, dunks are incredibly entertaining, as evidenced by the annual dunk contest during All-Star Weekend. That event -- which last year saw Zach LaVine and Aaron Gordon duke it out in a classic showdown -- celebrates the best, most creative dunkers the league has to offer. But what about the players who haven't quite mastered the art of the throwdown? PointAfter, a sports data site powered by Graphiq, used data from Basketball-Reference.com to find the worst dunkers in the league this season. The team sorted players by the lowest percentage of converted dunk attempts among those who have attempted at least 20 dunks (and missed at least five) during the season. Some of the most entertaining -- though at times unreliable -- dunkers in the NBA are included in the bottom 30. Of that group, 25 of them have converted less than 90 percent of their dunk attempts, with five players who have missed at least 10 dunks this year. The bottom 30 also includes three 2017 All-Stars and one former dunk contest champion. Note: All stats are as of Feb. 13. Ties were broken based on number of dunks missed. If ties still existed, the player with the higher field goal percentage was ranked ahead. McGee has been known to make some pretty questionable decisions during his NBA career, but he seems to have found a nice role with Golden State this year. He went 49-for-52 (94.2 percent) on his dunk attempts last season, so he's slightly regressed in that category since leaving the Dallas Mavericks. McGee ranks 19th in the league in PER (23.7) — ahead of guys like Kyle Lowry, John Wall, Rudy Gobert and Marc Gasol — though he's only averaged 9.4 minutes per game. Nogueira's most memorable moment this season is probably when he dropped his pants while Jazz forward Derrick Favors shot a free throw. The distraction (intentional or not) worked, as Favors missed the shot. Nogueira is in the midst of his best season as a pro, though he has missed a handful of dunks along the way. Leonard has made a habit of ruining opposing teams' offenses throughout his career, and now he's in the midst of his best year on offense. This season, Leonard has posted career highs in scoring (25.9 PPG), PER (28.2) and true shooting percentage (62 percent), and he was voted as a starter in the All-Star Game for the second straight year. He's had his fair share of impressive dunks this season, but his five misses land him on this list. Nene's career is clearly in the decline phase, as he's averaged a career-low 17 minutes per game in his first season with the Rockets. It seems that the only video on the internet showing him missing a dunk is from a game Nene played for his native Brazil against Serbia in the 2014 FIBA Basketball World Cup. Enjoy as the big man fails spectacularly in a highlight dunk attempt. Back when he was on the Knicks, Chandler was once called for goaltending on his own dunk attempt, so it shouldn't come as a surprise that he's failed on eight dunk tries this season. Chandler has been a disaster since signing with Phoenix and still has two more years left on his contract, so missed dunks won't help him win favor with the Suns fan base. Completing our run of back-to-back Suns seven-footers is Len, who has taken a step back this season in terms of playing time and overall production. Since there doesn't seem to be any video online of him missing a dunk this year, enjoy these clips of him getting dunked on violently instead. Drummond has the fourth-most missed dunks this season, though he's still having a solid year overall. He might not have a more entertaining missed dunk than this failed off-the-backboard alley-oop from his rookie season. Also up for consideration is this missed dunk attempt from the free throw line when Drummond was in college, in what appears to be some sort of UConn fanfest dunk contest. Harrell has shown continued improvement during his second NBA season, averaging 9.6 points and 3.9 rebounds per game while posting a 19.4 PER for the Rockets. His 10 missed dunks have been among the few mishaps, though thankfully for him, few have made it onto the internet for public ridicule. Instead, here's Harrell's misguided attempt at a windmill dunk during his college career at Louisville. Cauley-Stein has missed five dunks this season and has converted only 87.8 percent of his attempts, which is why he ends up here. But all of his miscues were absolved the moment he completed this alley-oop against the Celtics on Feb. 8. As Kings announcer Grant Napear says, "If you don't like that, you don't like NBA basketball." Green has gone from an undrafted rookie in 2010 to D-League star to NBA starter in less than five years, a truly impressive journey for the Alabama alum. He's put up some big dunks during his young career — including this slam over Rudy Gobert — but his five misses make him among the most unreliable dunkers in the league today. Being the tallest player on the court often makes you a target to get dunked on, and unfortunately that's been the case for Biymobo during his career. It helps when you're able to get revenge on would-be dunkers, as Biyombo has done, but it's his seven missed dunks that qualifies him as one of the worst in the league this season. "Slam" Dekker can most definitely throw it down, and he's shown great improvement during his second season. But he's also been known to get a little too ambitious at times when going to the rim, though fans can only hope he continues trying to make highlight reel-worthy plays as his career continues. No player can be credited with ushering the NBA's current "dunk culture" more than Griffin, who's been putting defenders on posters since his rookie season. A player as athletically gifted as Griffin is bound to mess up every once and a while, though, and Griffin has at times bitten off more than he can chew when attempting a monster dunk. Keep aiming high, Blake, and don't let any of those misses deter you. Adams can make opponents look foolish by dunking on them at one end of the floor and swatting their shot on the other. The "Kiwi Phenom" had one of the year's best dunks in a Dec. 27 game against the Heat, though he's also tied for the league lead with 14 missed dunk attempts this year. The Lakers made the head-scratching decision to sign Mozgov to a four-year, $64 million contract in the first minutes of free agency, and the move has gone about as poorly as most expected. Mozgov has averaged just 20.7 minutes and 7.5 points per game this season, and his missed dunks have been among the more embarrassing plays in what's been a miserable season for the Lakers. Barnes has enjoyed a career year in his first season with Dallas, posting career highs in points per game (20.1), minutes per game (35.8) and PER (17.4). He's plenty athletic enough to pull off big dunks, but it's his missed attempts (like this one from the 2012-13 season) that make him among the most unreliable dunkers in the league today. Favors has posted his lowest PER (15.5) since his rookie season, so it's been a trying year for the 25-year-old. He once missed two dunks in one possession during a 2014 game against Minnesota, both misses coming within two seconds of each other. That alone should warrant his inclusion on any worst dunkers list, but he lands here based solely on his performance this season, in which he's converted on less than 85 percent of his dunk attempts. Henson has taken a step back this season, posting the lowest PER (14.5) of his career. He missed five dunks in 35 attempts last season (85.7 percent), so he's regressed a bit in that category this year. He did have a nice dunk over Serge Ibaka in a Nov. 27 game, so it hasn't been a season without at least some highlights. Cousins' temper and immaturity have cost the Kings this season, as he has amassed a ridiculous 17 technical fouls so far. His 10 missed dunks are tied for fifth-most in the league, and though none of them could be located on the internet, here's one from 2013 that came as a result of a Miles Plumlee blocked shot. Dedmon has risen from complete obscurity into a solid role player for one of the league's best teams. He went undrafted in 2013, spent years in the D-League and on the bench for the Warriors, 76ers and Magic before landing in San Antonio, where he's carved out a perfect role for himself. He's missed seven dunks this year and been on the wrong end of highlight jams during his career, though, so he still has some strides to make as he continues to improve. Wade has missed five dunks in his first season with the Bulls, including this failed reverse alley-oop attempt early in the season. His total should be six misses were it not for this atrocious foul called on DeMarcus Cousins as Wade missed a dunk at the end of their Jan. 21 game, which Chicago won, 102-99. Westbrook does everything at full speed, so it's not surprising that his pedal-to-the-floor mentality would lead to some miscues. He tried (and failed) to personally end Rudy Gobert's career earlier this season, and has missed wide open dunks simply because he tried to throw it down too hard. 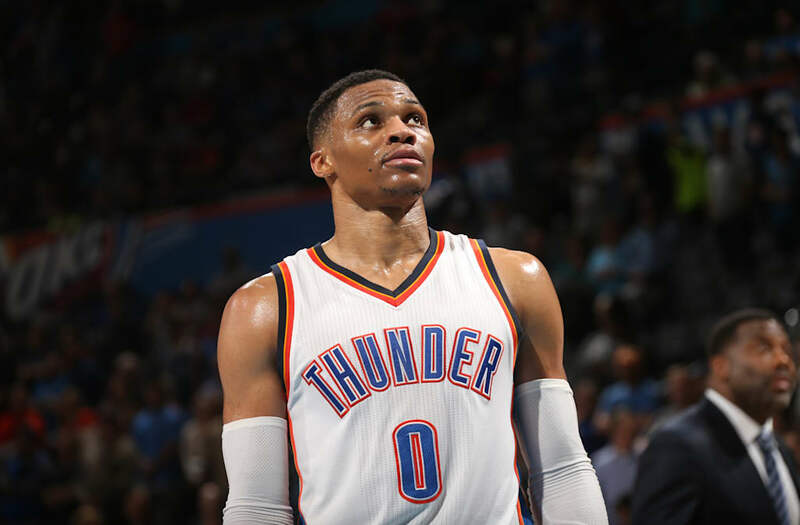 As Westbrook's quest to average a triple-double for the entire season continues, let's hope he becomes a bit more efficient in his dunk attempts. Aldridge is known more for his midrange game and post moves than he is as a strong finisher at the rim. He's been on the wrong end of some big dunks — perhaps most notably last season, when Kristaps Porzingis had a putback dunk at his expense — but has also missed six out of 32 dunk attempts this season. The Polish Hammer has earned his nickname throughout his career, punishing defenders with strong dunks over the years. Unfortunately, he's had some bad misses as well, and opponents have dropped their own hammers down on him from time to time. Gortat is having a solid season for the resurgent Wizards, making a career-high 59.7 percent of his field goal attempts. He'll improve that mark even more if he can stop missing his dunks. Young had one of the more impressive dunks of the year on Jan. 16 against the Pelicans, when he threw one down on Terrence Jones. He hasn't been as fortunate on five other occasions, though, and has one of the worst dunk percentages in the league. Here's one particularly embarrassing miss he had during the 2015-16 season, when he was still on the Nets. Black has been among the lone bright spots for the lowly Lakers this season, turning into a serviceable role player and strong rebounder. He's strong and athletic enough to make up for being undersized (he's listed at 6-foot-9), but sometimes Black can get caught at the rim by longer defenders. Exhibit A: this rejection by Trevor Booker, who blocks Black's dunk attempt from behind. There are basically three ways to miss a dunk. Here they are, in order from least to most humiliating: trying to dunk too hard; getting your shot blocked by a defender; and not jumping high enough to actually dunk the ball. Here are examples of Davis suffering through the two most embarrassing types of dunk misses — first by getting his shot blocked by Thomas Robinson this year, and then by being blocked by the rim last season. Chriss has shown some promise during his rookie campaign, flashing the elite athleticism that made him a top-10 pick in last year's draft. He's averaging 7.5 points and 3.4 rebounds in 56 games so far, yet his 14 missed dunks are tied for most in the NBA. Gallinari can certainly finish strong at the rim, as evidenced by his acrobatic reverse dunk against the Pistons earlier this season. His eight misses are tied for the eighth-most in the league, though, and his 15.9 PER is his worst mark since getting traded the Nuggets during the 2010-11 season. When it comes to unreliable dunkers, Lopez wears the crown. Perhaps his worst missed dunk of the season came on Dec. 26, when he was blocked by the 6-foot-tall Aaron Brooks. Lopez suffered an even worse fate two days later, when he was on the receiving end of a monster dunk by his twin brother, Brook, in what ended up being a 101-99 win against the Nets. It wasn't the first time Robin Lopez has been dunked on before, but if he can get more efficient at finishing at the rim, maybe he can dish out his own form of punishment as retaliation and no longer be considered the NBA's worst dunker.